Blackheaded Persian sheep originated in the arid regions of east Africa in what is now Somalia. They are a fat-rumped breed and both sexes are polled. Blackheaded Persians have a white body and black head and neck with the two colors sharply distinguished. They found their way to the tropics of the Caribbean region via South Africa many years ago. The Caribbean population has adapted well to the humid tropics. Blackheaded Persian sheep are one of the breeds that were used to develop Dorper sheep. Some Blackheaded Persians have solid colored heads, legs and tails, while their body is covered with spots and patches on a white background. The pattern on each individual sheep is unique. These are referred to as Harlequin Persians or ‘Skilder Sheep’. 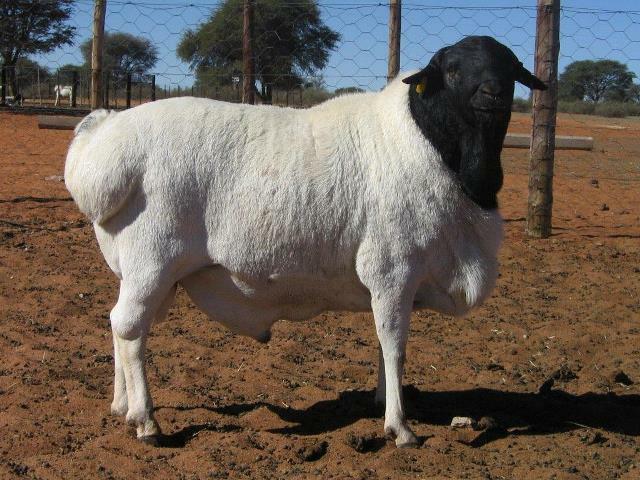 The word Skilder in Afrikaans means painted sheep. Skilder Persians are attractive and can also be black, brown, red, tri-color or blue.